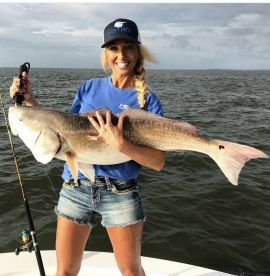 Charleston inshore fishing charters offer great opportunities any time of year, with pretty much every important shallow-water species paying a visit at one point or another. 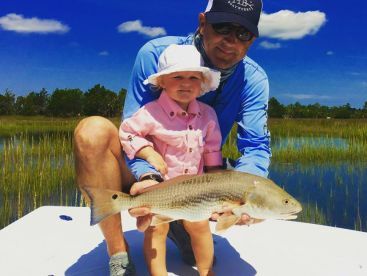 Most Charleston inshore guides are lowcountry fishermen through and through, passing their trade from father to son. This makes them both incredibly knowledgeable about the local waters and more invested in conserving the species they are fishing for. 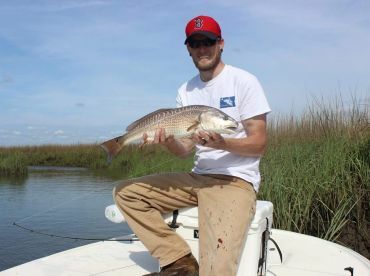 And we can’t blame them — with a year-round population of Redfish, Speckled Trout, Sheepshead, and Flounder, the area is well worth protecting. What can I expect from an inshore fishing trip? 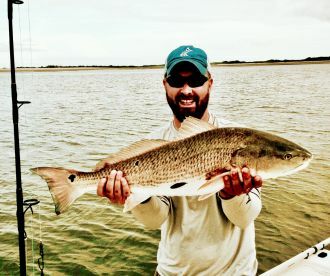 Charleston inshore fishing begins as soon as your feet get wet, with the local flats providing great catches of Trout and Redfish in only a few inches of water. Head out to deeper waters and things don’t get any less active, with a sprawling network of artificial reefs littering the area. 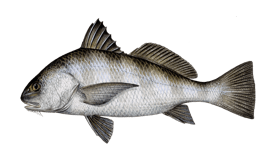 These make the perfect home for big Sheepshead, which are joined in the summer by Cobia, and Spanish mackerel, and Black Bass. 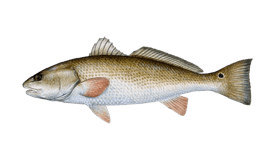 The most common species you will be going after are Redfish, Trout, and Flounder. They all taste great and nothing puts up a fight like a big Bull Red. There is never a bad time to fish for these guys but if you visit during the summer you will also get the chance to fish for Charleston’s shallow-water specialty — Tarpon. Charleston rolls out the red carpet for the Silver Kings, who barrel into town in their hundreds every summer. 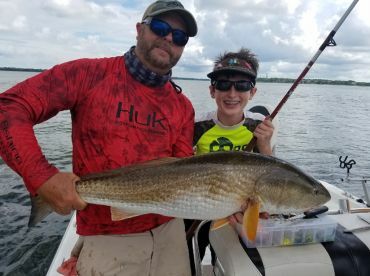 August is the best time to target these royal brutes and spots like Bulls Bay offer endless hours of pleasure and frustration, with huge schools of massive fish daisy chaining through the shallows in search of food. If you leave the shallows behind you and head a couple of miles out, you will find yourself spoilt for choice of awesome inshore reefs. Spots like Capers Reef are home to some of the biggest Sheepshead you’re likely to see, as well as so many Black Bass they start to get annoying. March through May are the best times to fish the reefs. 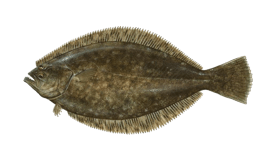 After that, the fish head closer to shore and can be caught right in the harbor in the warm summer months. The basic rates for a small inshore boat are $400 for a half day and $600 for a full day. 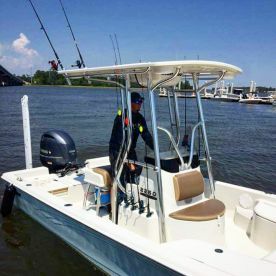 Bigger boats cost more but if you’re thinking of getting into the skinny waters in search of Redfish, Flounder, and especially Tarpon then bigger isn’t always better. If you are heading out to the inshore reefs and choppier waters you will need something a little sturdier. These will only cost an extra hundred bucks for a half day and usually no more than $800 for a full day, so they won’t exactly break the bank. Live bait is the name of the game for most Charleston inshore fishing charters. Fiddler Crabs are a local favorite, particularly for Sheepshead, where they are sometimes combined with a hunk of oyster meat for extra aroma. This setup is dropped on a Carolina rig with half-ounce or one-ounce weights to keep plenty of play in the bait. Minnows and live or dead shrimp work well for most other species, combined with ultra-light spinning gear for fun battles against Trout and Redfish. When fishing for Tarpon, live Red Mullet comes out on top, combined with long rods, spinning reels with 20 to 50-pound line, and 6/0 circle hooks to make sure you don’t harm the fish. 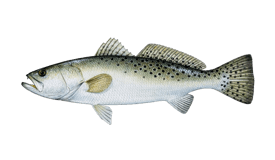 Fly fishing is also hugely popular in Charleston, which should come as no surprise considering the amazing species you can find in Bulls Bay. 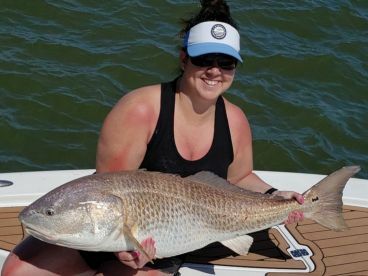 You won’t need anything fancier than a standard 8-weight for Redfish or Trout, but you may want to bulk up to a 10 or even a 12-weight when battling Tarpon, because they grow ‘em big down here in the Lowcountry!